Kythira is a medium sized island located in the south part of Greece lying opposite the tip of Peloponnese peninsula. It is a unique island in many respects, with a long archaeological and historical background. 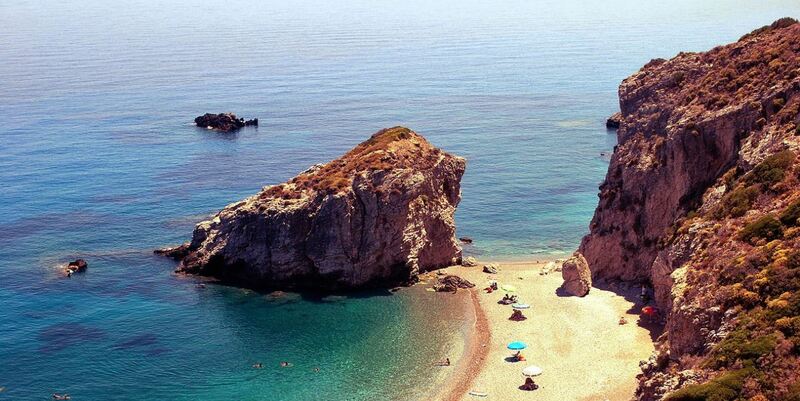 According to Hesiod, Kythira was the birthplace of Aphrodite. Kythira is also known in history as the crossroad of the Mediterranean cultures. The ferries that connect Athens to Kythira depart from the port of Piraeus with a frequency of ~2-3 ferries/week. One can also visit Kythira by car through the ports of Neapoli and Gytheio, both located in the Peloponnese. Piraeus is the only port that connects Athens to Kythira. The ferry itineraries are more frequent during summer (2 or 3 days/week) and the tickets are usually quite cheap. During winter there is no ferry connection between Kythira and Piraeus. Kythira is also directly connected to the island of Antikythera and also to Kissamos, Crete with a ferry that runs 2-3 times a week. Travelers can combine Kythira with island-hopping to Antikythera and Crete. Kythira is an island of long archeological, historical and cultural interest. It is an island that offers different experiences to each visitor. The beauty of Kythira is focused on picturesque villages that are spread all over the island. The castle at Hora at the top of the mountain, the traditional alleys, the nightlife at Kapsali and Hora, the trails, the caves, the waterfalls, and the beautiful beaches can satisfy all types of travelers. Kythira offers many options for activities. A series of routes and trails can offer visitors the opportunity to discover the beauty of the island. If you are a fan of hiking, you will have the opportunity to enjoy the path that leads to the waterfalls. From Kapsali you can get the boat that goes to Hytra caves where you can go snorkeling in an underwater cave.